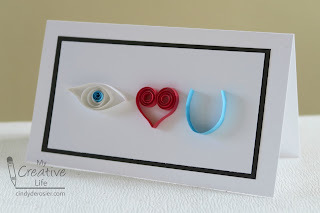 Want a quick, easy and unique Valentine's Day card? Try quilling this rebus! 1. Cut the cardstock to make a white card base. Cut a white rectangle that is approximately 1/2" smaller in both directions than the base. Cut a black mat that is 1/8" bigger in both directions than the white rectangle. Adhere the rectangles to the card base. 2. 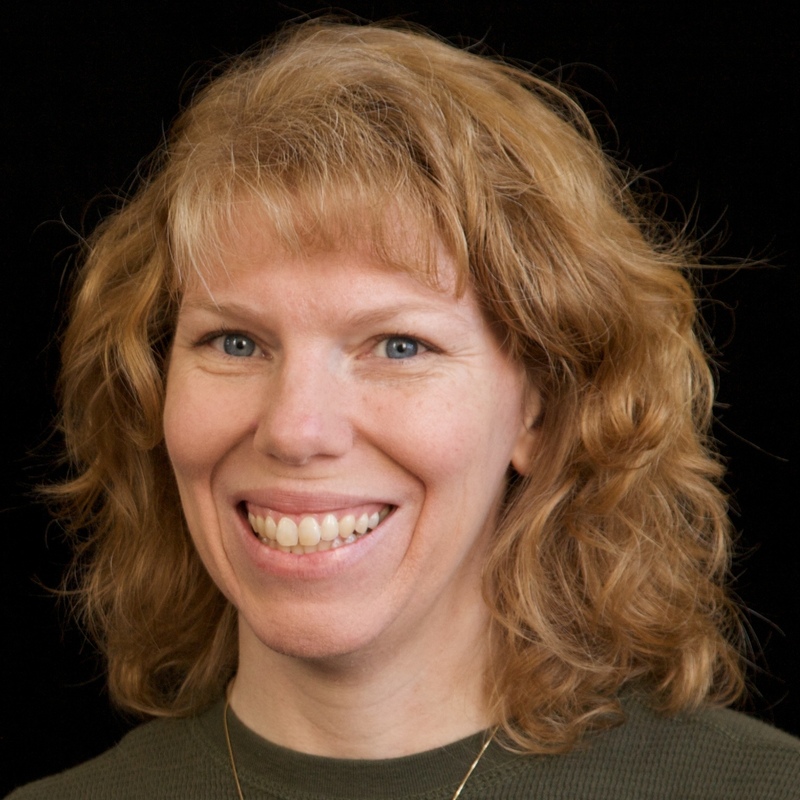 Use the trimmer to cut the copy paper into strips approximately 3/8" wide. You'll need one red strip, one white strip, and two blue strips. 3. Start with the heart. Fold the red strip in half, then use the toothpick or quilling tool to quill each end in toward the folded point. Adjust the heart so it is symmetric. 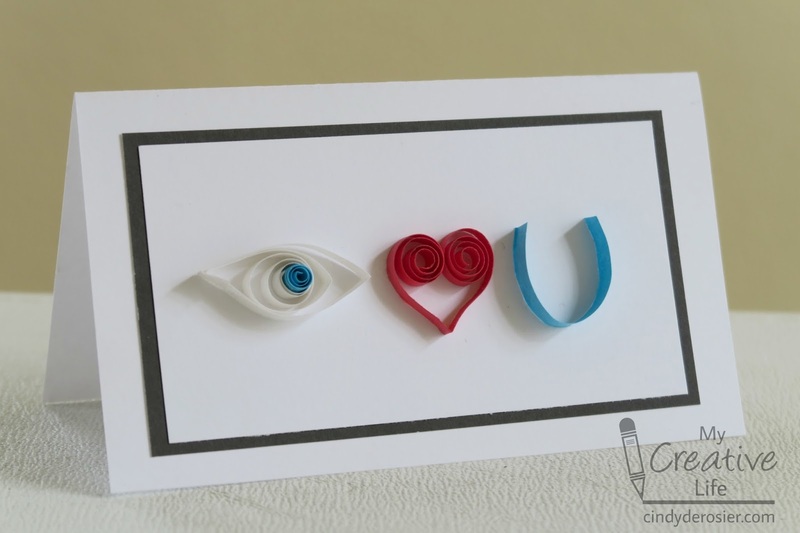 Add a tiny amount of craft glue to the edge of the heart and adhere it in the center of the card. 4. Use your fingers to curve a blue strip into the shape of a U. Trim the ends so that the U is the same height as the heart. Add a tiny amount of craft glue to the edge of the U and glue it to the right of the heart. 5. Use the toothpick or quilling tool to make a tight circle with the second blue strip. Trim the end so that the circle is a size you like. Before removing it from the quilling tool, glue the end in place. Then slide it off and set it aside. 6. Use the toothpick or quilling tool to make a loose circle with the white strip. Remove it from the quilling tool, then glue the end in place. With your fingers, pinch both sides of the circle simultaneously to form a marquise. Manipulate the center portion with your fingers or a toothpick to make a big enough opening for the blue tight circle to fit inside. 7. With the blue circle still inside the white marquise, add glue to the back of both pieces, then place them to the left of the heart. 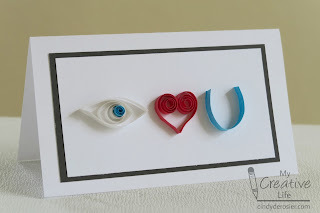 I absolutely LOVE your creative, quilled Valentine's Day card! It is wonderful!! !